3D printing software facilitates the printing of 3D objects created inside of 3D modeling software by translating the model into data a 3D printer can understand. 3D printing software is also sometimes called slicer software because it breaks down a 3D model into sections, enabling a 3D printer to create the object slice by slice. 3D printing software is commonly used in makerspaces and creative studios with 3D printers, but anyone with a 3D printer will need to use slicer software to print their designs. 3D printing software often has overlap or works alongside other 3D design software or general-purpose CAD software. 3D Printing reviews by real, verified users. Find unbiased ratings on user satisfaction, features, and price based on the most reviews available anywhere. 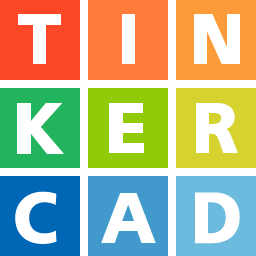 Tinkercad is a simple, online 3D design and 3d printing tool for the masses. Whether you're a designer, hobbyist, teacher, or kid, you can use Tinkercad to make toys, prototypes, home decor, Minecraft models, jewelry – the list is truly endless! 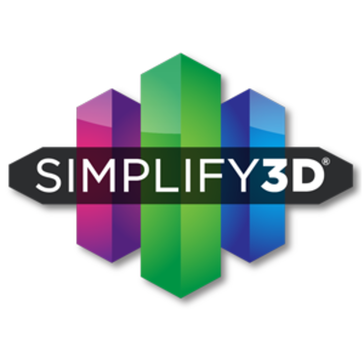 Simplify3D is a 3D slicing and printing solution. 3DPrinterOS has developed the world’s first operating system for desktop 3D Printers. 3DPrinterOS now powers Bosch Dremel 3D Printers which are readily available for sales worldwide and at local stores like Home Depot and Amazon. A processing system for 3D triangular meshes. It provides a set of tools for editing, cleaning, healing, inspecting, rendering, texturing and converting meshes. 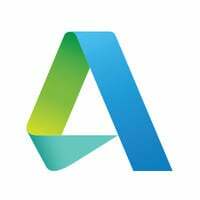 It offers features for processing raw data produced by 3D digitization tools/devices and for preparing models for 3D printing. Netfabb additive manufacturing software has tools that help streamline your additive workflow and quickly get from a 3D model to successfully printed parts. A suite of 3D Printing, verification and repair tools, plus new modeling tools that will make your designs 3D Printer or 3D Printer service ready. Repetier-Host is your ALL-IN-ONE software solution, which gives you countless benefits. The 3D-Tool Free Viewer is free for private and commercial usage. It is made to open DDD models published with the 3D-Tool CAD viewer but it is also a powerful freeware STL viewer. The chargeable commercial 3D-Tool CAD viewer supports most common CAD systems and 3D file formats and there is also a free 14 day trial available. 3YOURMINDis an online platform that transform data into a 3D-print. IceSL is a state of the art slicer (STL → G-code) with advanced modeling capabilities. Prepare files for printing with ideaMaker; Raise3D's unique slicing software. It's user friendly interface can prepare .STL, .OBJ and .3MF files in as little as 4 clicks, while it's powerful settings provide limitless customization for advanced users. Designed specifically for Raise3D printers, slicing with ideaMaker is fast, efficient, and completely free. KISSlicer is a powerful, easy-to-use, and fast cross-platform app that slices STL files into printer-ready G-code files. MakePrintable is a cloud solution that analyses and repairs any 3D model for 3Dprinting. MatterControl is a free, open-source, all-in-one software package that lets you design, slice, organize, and manage your 3D prints. Qlone, a seamless integration with some of the world's leading 3D platforms for printing, sharing and selling 3D models. SliceCrafter is an online version of our slicing technology. It is less powerful than IceSL-slicer, but runs entirely from within a web browser. Why Use 3D Printing Software? 3D printing software helps facilitate the printing of real-life 3D objects. These solutions translate the object, which was typically initially designed with 3D modeling software, into data that the 3D printer can easily read. 3D printing software solutions are essentially instructions for the 3D printer to follow for creating that real-life object. These solutions let 3D printers create a real, physical object. 3D printers take the instructions from 3D printing software and then join or solidify material to create the 3D object in real life. 3D printers create objects by printing them out, layer by layer, until they are complete. 3D printing can be used by businesses in a variety of different fields. They can even be used to create some types of food. But 3D printing software solutions are most commonly utilized in industrial fields. 3D printing software is often used to create parts of machines, objects, or even buildings. 3D printing software offers users a number of benefits, including but not limited to the following. Enables decentralization — This software enables organizations to print various parts of a product. That means that, in certain cases, businesses can use 3D printers to print certain parts of a product right on site, without needing a to order parts from an outside party. Reduces production costs — Because 3D printing software allows users to print parts and complete products on site, these organizations do not need to spend money to ship those parts to their location from a manufacturing plant. Rapid prototyping — Whether it’s due to product flaws or simply a better design idea, products in the design process inevitably undergo many changes. 3D printing enables users to quickly and easily print their 3D model at any point in the design process so that they always have a physical reference for their designs. Advances warehousing — Because 3D printing works quickly, warehouses can print various products or parts of products on demand whenever they require it. That means that businesses will not face an excess of inventory as they may have historically dealt with, which will save them production costs. Improves medical technology — 3D printing has gone beyond just printing machine parts. This technology is now capable of manufacturing fully functioning human organs. This advancement can greatly benefit people waiting on a transplant list. Produces less waste — Typical production results in a plethora of wasted material. 3D printing only uses the material needed to create the actual final product—no more, no less. Additionally, it is possible to reuse materials from a 3D print job, meaning a company produces far less waste with this process. Improved product quality — Traditional product design can sometimes lead to poor quality, as sometimes the elements being mixed together for the final product do not work well together. 3D printing software allows users to print their product step by step, which ensures a higher design quality. 3D printing software is not limited to use among one particular field. However, it is commonly utilized by businesses in the manufacturing field. 3D printing is revolutionizing the manufacturing process by completely streamlining it and making it more efficient. 3D printing software helps businesses shrink their supply chains, along with reducing product development time and being more adaptable to customers’ specific needs. This has resulted in an overall reduction of assembly line production costs. It’s also beneficial to these organizations as a whole, as their product teams can consider short-run part production that has them launching new products more frequently. While 3D printing is most commonly used in this industry, the software can be utilized by businesses in many other fields besides manufacturing. Users in virtually every industry can benefit in some way from 3D printing software. For example, environmental engineers can use 3D printing software to quickly print out a plastic fitting for pipes. Product designers can also use this software for prototyping their products and even creating the end result. Musicians can also take advantage of 3D printing software; these solutions enable them to print out their own high-quality instruments at little cost. All 3D printing software solutions have the same end result of creating a real-life 3D product. However, some 3D printing software solutions vary in the ways that they print out those objects. Material extrusion — This type of 3D printing sees a filament of solid thermoplastic material being pushed through a heated nozzle, melting it in the process. Fused deposition modeling (FDM) — This 3D printing process is among the most common of 3D printing devices available. A spool of filament is loaded into the printer and fed through to a nozzle. Once the filament reaches the desired temperature, a motor pushes it through the nozzle. Stereolithography (SLA) — This is the oldest type of 3D printing software, having been invented by Chuck Hull in 1986. This process uses lasers and mirrors to print out a product layer by layer. Digital light processing — This type of 3D printing is similar to the SLA process, but tends to work faster. It uses a digital light projector to flash a single image of each layer all at once. The following features are commonly found in 3D printing software solutions. 3D modeling software integration — 3D models are the building blocks of a 3D print job. 3D printers must be able to integrate with these solutions so that a 3D printer can read the data from a 3D modeling solution and translate it to a format the 3D printer can read. Printer support — 3D printing software should integrate with a number of different 3D printers. It’s important to make sure the 3D printing software of your choice integrates with the 3D printer that you will be using. Ability to switch between machines — A 3D printing software solution should have the ability to integrate with more than one 3D printer so that you are not limited to just one machine. Preprint simulations — Some 3D printers can provide users with realistic preprint simulations. This shows users the exact actions a 3D printer will take to create the object. This simulation animates the printing process, allowing users to watch an extruder lay down printing material line by line. Identify issues before printing — By running a preprint simulation, a user can extract information like exact speeds and sequences. This means that there is no need to go through with a print job until users can verify their print job will be successful. The following trends are on the rise for 3D printing. Application-driven software — Users in the industry can expect 3D printing to be all about applications and not technology. The industry has begun to shift its focus to identify the right applications for 3D printing as opposed to developing new technologies. Experts predict the financial world will likely take note of this move. A rise in polymer materials for 3D printing — 3D printing will be all about plastic materials. Growth in plastic materials will be huge for industries such as aerospace and automotive, as they need materials with very specific properties and quality requirements. Software will boost 3D printing productivity — 3D printing software helps businesses automate parts of the 3D printing process. This is helping make 3D printing more scalable and cutting down the costs for businesses. This ultimately reduces labor for these businesses and completely streamlines the whole process. Governments will become more involved with the 3D printing process — As 3D printing becomes more and more mainstreamed, regulation of intellectual property and product liability becomes a bigger concern. The more that businesses use this technology, the more involved governments will be, as they need to create policies around such concerns. Limited materials — While 3D printing can help produce a large amount of 3D products, the technology is not perfect yet. At this moment, 3D printers can only print with certain materials, including plastic and a few different metal types. Without access to those specific materials, 3D printing just cannot happen. As 3D printing has not quite hit the mainstream, the materials are not always easy to come by. Some of the materials needed for 3D printing are able to be purchased but are not yet commercialized. Takes away certain jobs — As 3D printing technology makes product production more streamlined, it has the ability to automate and directly contribute to the continued decline of manufacturing jobs. And the more precise this software becomes, the more jobs it will likely take away. Copyright issues — As 3D printing is becoming more and more common, the ability to counterfeit items via a 3D printer also has the potential to become easy and commonplace. For example, a user can print a copy of an existing product. Unfortunately, it is virtually impossible to distinguish which is the original product. This likely will lead to a slew of potential copyright issues. High energy consumption — While 3D printing may produce less waste than normal printing, it unfortunately takes a high amount of energy to power a 3D printer. Research shows that 3D printers take between 50 and 100 times more energy than injection molding. By that logic, the mass production that most businesses require takes a huge amount of energy to produce. Steep learning curve — 3D printers are a fairly complicated technology. These products require high-voltage power supplies, specialized equipment, and more, which can be difficult for businesses to use and manage. 3D Modeling — 3D printing software is most closely tied to 3D modeling software. 3D modeling software solutions allow users to design basic three-dimensional models of objects or characters and often include supplemental features to flesh out models with realistic details. The models that are eventually printed by 3D printers are initially created within these platforms. 3D printing software translates the data from 3D modeling solutions to make this possible. Hi there! Can I help you find the best 3D Printing solutions?